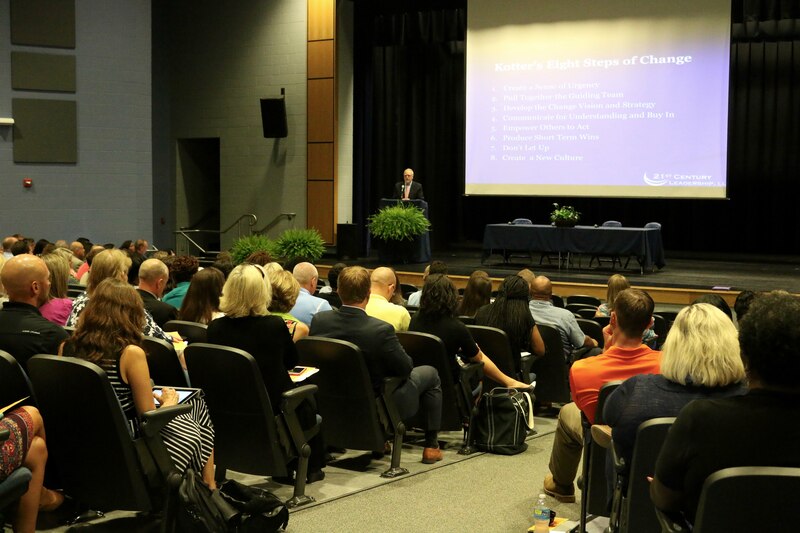 Pender County Schools hosted a regional Call to Leadership conference featuring state and regional leaders on Wednesday, Aug. 10 at Heide Trask High School. District leaders from across the Southeast region including central services administrators, principals and assistant principals gathered to discuss leadership for excellence and equity. North Carolina Principals and Assistant Principals’ Association Executive Director Dr. Shirley Prince reminded school leaders of the incredibly important work that they do. Other speakers included Southeast Education Alliance Executive Director Dr. Kathy Spencer, Public School Forum of North Carolina Chair Dr. Michael Priddy, East Carolina University Wells Fargo Professor and Endowed Chair of Educational Leadership Dr. Matt Militello, Panasonic Foundation Senior Consultant Gail Davis, and Strategic Educational Alliances, Inc. President Dr. Tom Williams. 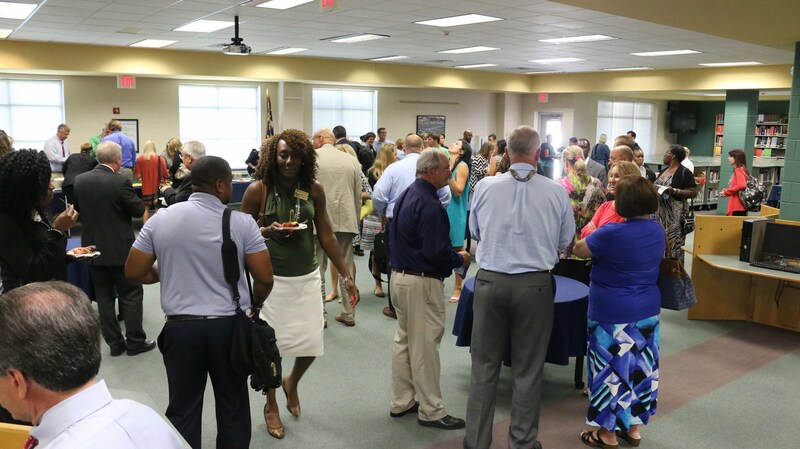 Pender County Schools would like to thank the Panasonic Foundation, East Carolina University, Public School Forum of NC, NCPAPA, and the NC School Superintendent Association for making this opportunity possible.